Stone is a beautiful material, and so much a Natural part of our environment that it never looks out of place. But while stone can be expensive and difficult to work with, StoneWrap manufactured stone is not. Now you will be amazed at how easy it is to add the beauty, elegance and durability of stone to your property with Stonewrap Cladding from Killeshal. Stone… the very word recalls the qualities for which stone is rightly famed and stone has been our material of choice since the dawn of man. It is durable, solid and stable. Stone is elegant and so timeless it sits comfortably with both traditional and modern settings and stone makes a statement like nothing else. There really is no comparable material when you want to give your property a lasting and elegant face and now with StoneWrap Cladding from Killeshal you can have the beauty and elegance of stone; that fantastic natural texture and colour, in a form that is quicker and easier to work with… and every bit as durable. Stonewrap Manufactured Stone, from Killeshal is a fantastic product that combines the best qualities of a modern easy to use material with those sought-after qualities of natural stone. In fact, Stonewrap Manufactured Stone has several advantages over natural stone. 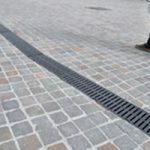 Its composition, which includes pumice, makes it lighter and easier to work with than natural stone and it comes in a great range of textures and colours to suit any location- interior or exterior. 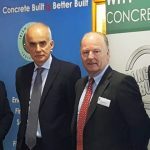 It is pre-formed into shapes, including corner pieces, that are easy to work with, requiring little or no alteration before fitting in place and its lightweight nature means it can be added to existing buildings without the need for additional support or enhancement to foundations. 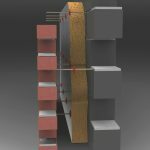 Stonewrap Manufactured Stone from Killeshal is a 21st century material but its installation is surprisingly straightforward and it can be fitted directly to rough wall surfaces and plastered walls. It can also be fitted to painted or smooth surfaces provided they are suitably “nicked” or “keyed”. Metal or wood surfaces must be suitably prepared also. The mortar required for Stonewrap is available from Killeshal and is formulated specifically to support the stone pieces on one face only. It can be mixed by hand but for convenience you may use a mixer attachment on a drill. Contact our team at Killeshal to see how StoneWrap Cladding from Killeshal can add a timeless elegance to your property Click here for our StoneWrap page.